Knowledge graphs are spreading everywhere: from Airbnb and eBay to Alexa, and from using JSON-LD on the web for better SEO to leveraging taxonomy to define AI. Combining knowledge graphs and machine learning, benchmarking graph databases, and W3C initiative for interoperability shaping up. January 2019 has been a lively month in the graph landscape. A brief history of semantics and knowledge graphs, context and how to leverage it, as well as some key architectures in the semantic space: knowledge graphs, smart data hubs, semantic data catalogs, metadata managers and smart contracts. By Kurt Kagle from Semantical LLC. To the extent that you can separate context from data storage, you have the means to widen the lens, so to speak, going from something that lets you view or look at only one aspect of the data space to one that lets you see it from all possible perspectives. This is what semantics gives you. What is the low-hanging fruit, or the most popular form, of knowledge graphs? Web content annotations, which can turn every web page to a part of the big knowledge graph that is the web. Here Aaron Bradley from Electronic Arts brings the work of Yoast’s Jono Alderson to the fore. 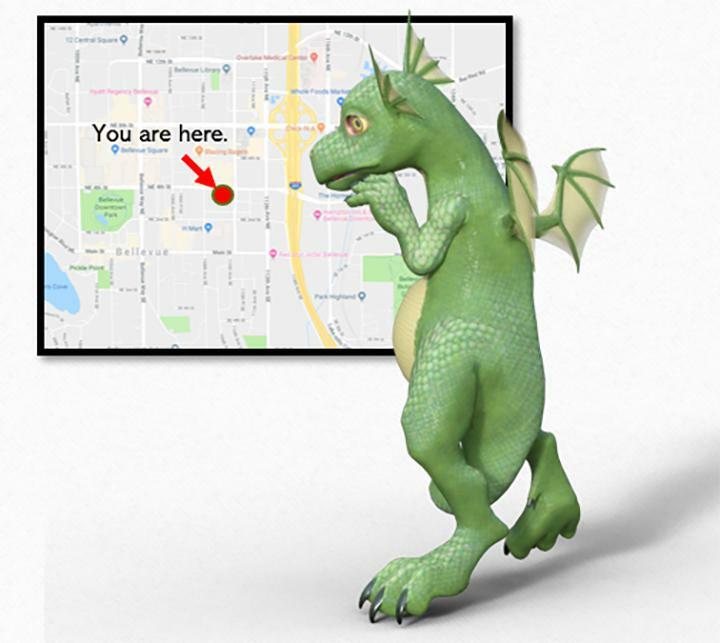 Yoast is one of the leading experts in SEO, and what Alderson has to share is highly relevant. Bonus track: this survey from Bradley which seems to settle the score on what people prefer to use to annotate: 80% go for JSON-LD. The author of this Google doc, Jono Alderson, plans to make it “into a little website with structured/interlinked guidelines” but it’s worth reading now > A general specification for implementing structured markup (using #schema.org and JSON-LD). What can a knowledge graph do for oncology? To explain how a knowledge graph could be useful for oncology, consider the story of young Esmeralda Pineda (Ezzy). The treatment was a huge success. Ezzy’s story is quite unique and it can be represented as a knowledge graph where each event, state or real world entity can be represented as a node and the relationships between them as edges. Deus also touches on the relationships between knowledge graphs and deep learning. Deep learning is what many people associate with AI today. But as shown in this analysis by Karen Hao from MIT Technology Review, maybe the era of deep learning will come to an end. The biggest shift found was a transition away from knowledge-based systems by the early 2000s. But as Pedro Domingos put it, “If somebody had written in 2011 that [deep learning] was going to be on the front page of newspapers and magazines in a few years, we would’ve been like, ‘Wow, you’re smoking something really strong,’”. Maybe the time for the return of knowledge-based systems has come. In contrast with manually developed taxonomies of research areas, which inevitably end up reflecting the specific viewpoints of the experts involved in the process, this characterization is data-driven, using machine learning and text-mining techniques to classify documents and identify the keywords. One of the problems with knowledge graphs is scale. Not so much in terms of performance, but more in terms of building and maintaining them. Amit Sheth from the Ohio Center of Excellence in Knowledge-enabled Computing has been one of the pioneers in knowledge graphs. Here he shares his experience from 2000, when it seemed to take 10,000 people to build a (big) knowledge graph. This still seems to apply to Alexa’s knowledge graph today. Why do these Knowledge Graphs need 10,000 pairs of hands? It seems the rule of thumb for how many pairs of hands it takes for building such KG and related ecosystem is 10,000 – an astounding number. This article confirms the number for Alexa. Earlier, through conversations with reliable sources, I had heard the that around the same number of people were involved in building and maintaining Google KG. Scale does not seem to be a problem for Airbnb. 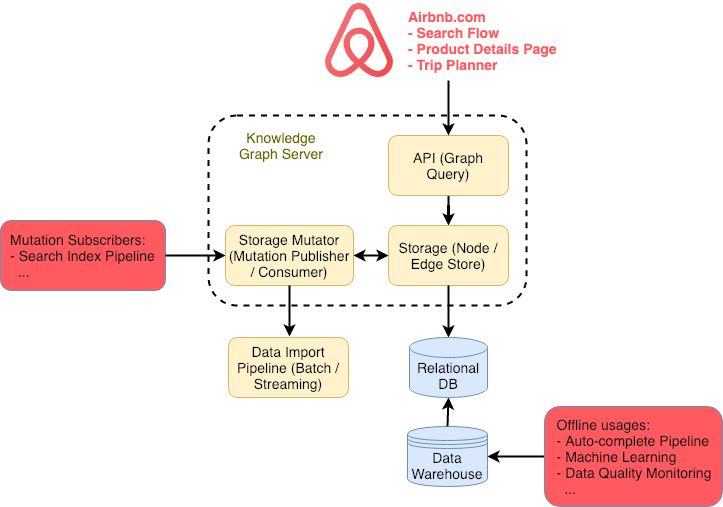 After sharing initial steps towards building their knowledge graph, Airbnb engineers are back with more details. An introduction to Airbnb’s knowledge graph, which helps us categorize our inventory and deliver useful travel context to our users. 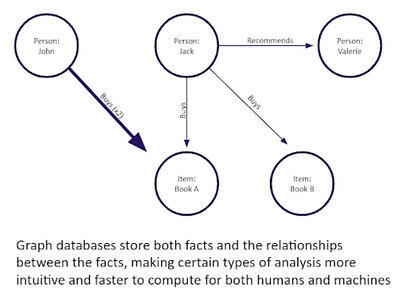 Incorporating knowledge graphs into recommender systems has attracted increasing attention in recent years. By exploring the interlinks within a knowledge graph, the connectivity between users and items can be discovered as paths, which provide rich and complementary information to user-item interactions. In the end, it may well be the case that knowledge graphs need machine learing to scale, as much as machine learning needs knowledge graphs to infuse meaning. Here Kalev Leetaru makes the case for the latter on Forbes. When humans learn, they connect the patterns they identify to high order semantic abstractions of the underlying objects and activities. In turn, our background knowledge and experiences give us the necessary context to reason about those patterns and identify the ones most likely to represent robust actionable knowledge. Interestingly, there are ways to combine machine learning and knowledge graphs / semantics. Here Bob DuCharme describes a project that brings RDF technology and distributional semantics together, letting SPARQL query logic take advantage of entity similarity as rated by machine learning models. I recently learned of a fascinating project that brings RDF technology and distributional semantics together, letting our SPARQL query logic take advantage of entity similarity as rated by machine learning models. This has been an ongoing trend for graph databases. Ontotext’s GraphDB 8.8 was just released, and it now allows users to perform semantic similarity searches based on embedding of relationships in a graph in a highly-scalable vector space model. It also enables users to query JSON-LD from MongoDB, plus some more improvements. 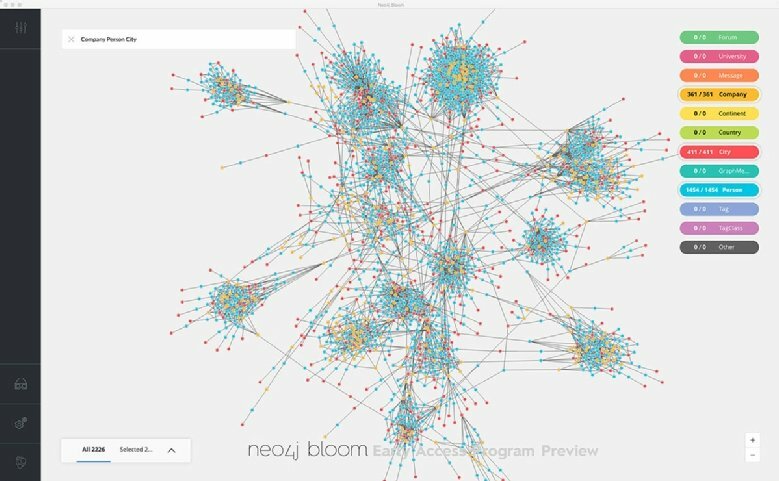 Ontotext has just released GraphDB 8.8.0 – the latest version of its signature semantic graph database, which now offers MongoDB integration for large-scale metadata management, new semantic similarity search, based on graph embedding, and faster and more flexible full-text search (FTS) connectors. Graph is on the front page. Craig Stedman from TechTarget with an intro to graph databases. Something more involved: How Representative is a SPARQL Benchmark? Muhammad Saleem from AKSW shares an analysis of RDF Triplestore Benchmarks. Must read if you want to understand how benchmarks work, how to compare performance and interpret results. Over recent years, various benchmarks have beenproposed to assess the performance of triplestores across different performance measures. However, choosing the most suitable bench-mark for evaluating triplestores in practical settings is not a trivialtask. The Victors will be Declarative – Exploring the Graph Query Language of the Future. Introduction to simple knowledge organization system (SKOS). Introduction to Graph Data and Open Source Investigations and Verification. If you think this is getting a bit too much with all those query languages and data formats, you’re not the only one. To quote Ovum analyst Tony Baer: “I always felt graph was better suited being embedded under the hood because it was a strange new database without standards de facto or otherwise. But I’m starting to change my tune — every major data platform provider now has either a graph database or API/engine”. To address the issue of standards, W3C is organizing a workshop in Berlin this March. Linked Data Orchestration will be there joining the ranks of experts convening to move things forward, with a will on data exchange formats. If you are interested in getting an inside view, join the Connected Data Berlin Meetup. Join us on March the 6th – stay tuned for details. We’ve had a lot of great input and are looking forward to a rewarding workshop. The following agenda is provisional and we’re seeking your feedback and suggestions for people to lead sessions. We want to focus on discussions relevant to standardisation and plan to keep the number of presentations to a minimum. Looks like papers that received esteemed and honorary mention on Elsevier, furthermore these papers were also among the most downloaded.